We hear about the Silo effect in companies all the time. Silos are formed in the large public companies as well as in small private companies. These organizational Silos can impact the profit potential of an organization because each department or silo is kept separate from one another. In this blog, we’re looking at the Silo Effect and how it impacts your company. In business a Silo is a department, service unit, operating unit, business unit that does not have good communication with other units. Thus leading to a dysfunctional organization. The Silo operates only for its own benefit and not for the benefit of the entire enterprise. One Silo usually points to other silos when there are problems or issues. Silos have may have their own teams, but they are not part of a broader team – the company as a whole. Get the financial leadership skills you need to be more effective in breaking down organizational silos. Click here to access our 7 Habits of Highly Effective CFOs and guide your team to a silo-free environment. Before you can break down the barriers (Silos) between departments, you need to know how Silos are created. I have found that like everything else, the tone starts at the top. If the top brass does not permit his company to have Silos, then you will not. Many CEOs may argue that it is easier said than done. I once operated a fairly good size company and they had two very distinct business units. One was a service company, and the other was a regulated utility. You could not have a more diverse culture in each business unit. As a result, each business unit had deeply entrenched Silos. Once the top brass held management and employees accountable, we saw silos starting to dissipate. When the CEO or owner allows for different areas in the company to develop Silos, it is very difficult to break those down. But it is doable. Two of the most common areas that are affected by Silos is the operations side of the business and the accounting side of the business. It is easy to allow these to develop. Operations people are the people dealing with customers and the outside world; they directly generate sales. They all understand how to make a widget or draw up complicated engineering plans. While the accountants tend to be “the back office”. The accountants do not usually interact with the customers and remain in their own department. Few accounting departments or accountants understand how to make the widget. I bet many have never left the office to understand the field operations or manufacturing facility. So it is easy for the accountants to develop their own Silos. So, who is right and who is wrong? They are both wrong. It is up to leadership to ensure that the operating side of the business understand why things are important in the back office. It is also very important for accountants to understand the complexity of any business. It’s up to you as the financial or business leader to break those silos down. Access our 7 Habits of Highly Effective CFOs to learn about the financial leadership skills you need to do that. This is precisely why we developed our new workshop From Operations to P&L Leader. I have seen it time and time again… A talented sales person or operations person who gets promoted, and someone hands him a P&L (Profit & Loss Statement). They expect that promoted person to manage the P&L. But has anyone trained the operations person and really explained what a P&L is? Or how to analyze it? Or better yet, has anyone educated the operations person on working capital, the balance sheet, and the cash flow statement? If someone is going to manage the P&L, then that person should probably understand more than just the P&L. Well, we do offer this 4-day workshop to operations leaders. Learn more about the workshop here. What about the accountant? I believe it is up to every CFO to educate the Controller and their accounting department on what the operation does. How do you make the widgets? What do those smart engineers do? What are the challenges and obstacles day to day? Why are the required raw materials constantly changing for that petrochemical plant? If an accountant does not understand what a reactor looks like, then the accountant is missing a big piece of the puzzle. Once the accountants understand the operations, things will work smoother. Let’s look into the Silo Effect. What is the effect of a Silo or Silos in your company? It increase the number of inefficiencies in your company. You risk duplicating the work, not communicating between departments, wasting time etc. There is a lack of communication between departments in your company. As a result, the company does not work as one. It will cost you in cash. Tension will eventually rise among the different departments. And rumors will begin to spread. There will be delays in the operation – impacting both throughput and/or progress and the bottom line. For example, a manufacturer had a somewhat complicated business. They had very talented people in the operating side of the business as well as very talented people in accounting. Their cost accounting is a mess after the implementation of a new system. The system was supposed to solve a lot of issues, but the margins made no sense at all. (Operations blamed accounting, accounting blamed operations). After many interviews and site visits, we concluded in our assessment that the technical cost accounting part of it was relatively not that complicated. What was the problem? The company created Silos. 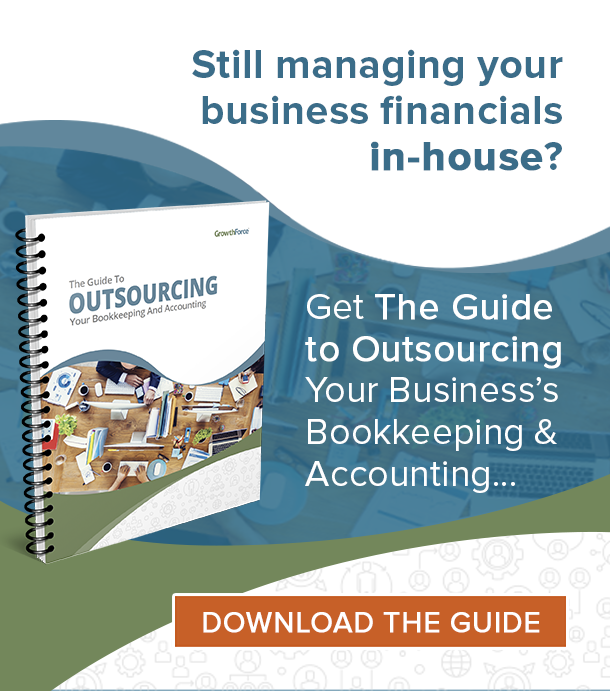 Accounting never explained to the operations side of the business what accounting needed, and they were sticking to their old ways of doing things. Accounting and operations needed to “talk” to each other and understand what the other needed. The lack of communication led to garbage in and garbage out of the system. They thought they were communicating because they would sit down monthly and have a meeting. But just because they were sitting in front of each other, it did not mean they were “talking” to each other. The meetings included a bunch of finger pointing. Furthermore, both sides not willing to change or listen to the other. These silos contributed to bad data and unreliable financial statements. It also resulted in issues with lenders and investors. I wish I could say that our firm provided this incredible technical solution for cost accounting. What we did provide was identifying the silos, the lack of communication, and the lack of processes. Then we took corrective action with the ownership and broke down the silos. By breaking the silos, forcing departments to communicate and having both sides take ownership of the processes established, they can now enjoy reliable financial statements and less pressure from lenders/investors. How do you identify if your company is feeling the silo effect? You need to look from the 40,000 foot level. This is just 1 of the 7 Habits of Highly Effective CFOs. 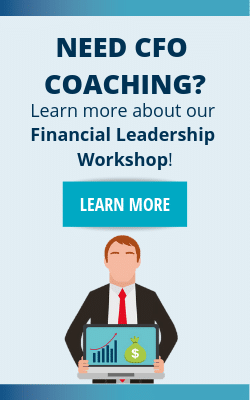 To learn more financial leadership skills, download the free 7 Habits of Highly Effective CFOs.